Finished in rare Grigio Titanio (out of range Ferrari colour) with complimentary Phantom grey leather interior and grey Carbon look fascia. 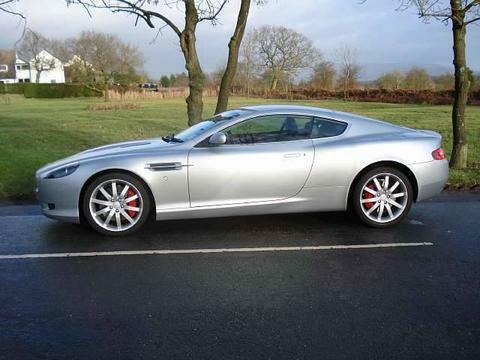 Fitted with upgraded 10 spoke alloy wheels shod with the correct Bridgestone Potenza tyres. Spec includes - Heated/electric seats with lumbar support, Satellite Navigation, Cruise control, Heated screen, Rear parking sensors, Sport and ASR plus the fitment of an expensive Alpine Bluetooth/Music streaming device, which is located in the ashtray in the photos but is moveable! The car has had only 3 previous keepers and benefits from an extensive service history. Mostly main dealer, up until the last couple of specialists. It is now nicely run in at a shade under 92000 miles and drives perfectly. The current MOT is until Jan 2020 and shows NO advisories. The car comes with the stamped handbook/service book pack and 2 original keys. The last service was only 2000 miles ago but it was in March '18 so I am including the next service in the asking price. It can be negotiated down if you prefer to get it done yourself. For an appointment to view call Kevin on 07770 380389 anytime. I'm just 2 mins from J3 of the M3, Bagshot, Surrey. Usual dealer facilities - Warranty, Part exchange, Competitive finance and various payment solutions.